The Digital Age Dilemma: Are Online Schools Good for Your Kids? Love it or hate it, the internet is a modern force in the world, and many parents are considering online schools for their kids. This shift into the digital age has spawned a collection of online private and public schools. But is a basic education from the comfort of home really the best choice for your kids? As public K-12 schools, colleges, and universities move into the virtual world, we here at superkidz.com have given this some thought. We’d like to present a detailed description of both the advantages and disadvantages of enrolling your kids into these schools. That way, parents can consider both sides of this dilemma. So, should you send your kid to the traditional school, or keep him at home in an online school? Which is better? Would you ‘send’ your kid to an online school? Education is extremely important for your children. It’s only normal that you would want what is best for your child. It’s best to really consider all options when it comes to their future. And one of the first conundrums you are faced with is the matter of whether to choose a brick-and-mortar school or an online alternative. Is an interactive educational medium via the internet the best choice for your child? How do online schools function? Well, this is a question that may require multiple answers. It depends, would be the best short answers. It depends on which school you choose. What programs do they have available? How they go about their business of teaching your children? In most cases, the larger aspects are the same. Your kid first of all needs to have a working computer in the house with an internet connection. It needs to meet the requirements of the school. Many online schools provide these as part of their policy, or on demand. Furthermore, the kid needs to have some peripheral equipment. These include headphones, a microphone, a printer, and scanner. Other requisites depend on the specific schools. Kids do love their computers. Now, the rest of how online institutions function is extremely varied. Some schools opt for a standard system in which the student keeps regular school hours from their home computer. Instead of boarding the bus to school, the kid now opens his Mac or PC and attends live classes. In these live classes, the kid is prompted to interact with the teacher and the class just like he would in a normal school. It’s just via webcam, with headphones and mic. Other online schools go for a more flexible type of program. Based on undergrad and grad online schooling, these set up a schedule for each class of students. Then they let the students choose for themselves when to start classes. Students decide which classes to go for first, depending on their schedule and their liking. This not only provides the students with more time to spend with their families, it also allows them to get more sleep. And that’s not usually a bad thing. The only rules are that the students finish their assignments on time and take all the pre-recorded classes. The latter model of the two above, however, does have some foreseeable issues. But for now, we’ve seen what online schools are and how online schooling works. With the hopes that you’ve understood the above, we will pass on to an analysis of the pros and cons of virtual, online schools. Kid going to school while staying home – the miracle of the internet. Some of you reading this article may find online schools hard to grasp. You may find them much too different from normal schools to actually present a viable solution. Mind you, however, online schools can be better, in some cases, than traditional schools. 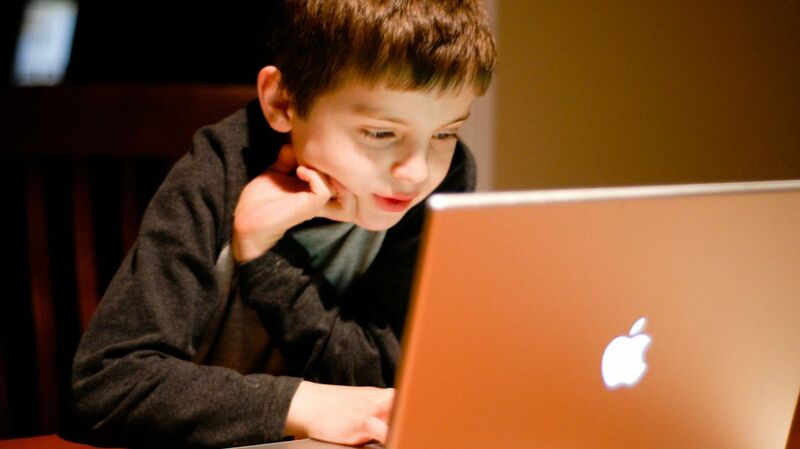 What do kids actually do in online schools? Nothing more than using technology in the classroom, yet this time it’s a bit reversed. It’s like the classroom is in the technology, and not the other way around. Besides the tech assisted tasks, kids enrolled in online schools are still writing in notebooks. They’re reading actual books, filling worksheets, writing papers, and performing scientific experiments. (You’d best isolate your garage, though.) They even have tests, exams, and quizzes. All the anxiety causing things found in a normal school, but with half the headaches. After your kid completes these tasks, the easiest, established way to submit them for review is to send them via email. Now that we have a more detailed view of the process involved, let’s see what the actual benefits and weak points of online education are. What’s So Good about Online Schools Anyway? Families get more times with their children. It’s a well-known fact that once you send your kid to school it’s much like sending him to the army. Well not quite, but you do get to see him less and less every day. And when you actually get the chance to spend some alone time with him, he’s probably much too stressed about school. He’s having homework tantrums and is tired and anxious over the upcoming school day. While all these may happen for an online school just as well, it’s much more unlikely. This means more family time, and much less stress. More student-centered education, with more control. In the traditional school, sometimes the class came before the student. Now, each and every student has a distinct voice, and their activities can be closely monitored by parents. While this may be extra work for the teachers, it may also ensure that they strive to improve the quality of their classes. Kids are more independent, can focus on more important things. Back in school, we all had bullies, some worse than others. Now, instead of fearing for their lives, kids can focus on developing skills, or picking up a sport or hobby. Anything can be achieved with more free time. Studies have pointed out that time to accomplish assignments drops considerably. Who knows, maybe if your kid works on the computer all day, he’ll get bored and pick up a book. Schedule flexibility allows students or parents to make the program. As we’ve said previously, some online schools opt for a flexible program. This means that if you want to take your kid off school for one day, you don’t have to write a formal note. You can schedule his tasks for another day. This ensures that the student is learning at his own pace. He’s not being forced to keep up with the rest. This is something that often results in bad grades, despite the fact that the child is learning fine. Technological skills improve. This should come out as obvious, but kids develop their tech skills by using the PC or Mac every day. These skills will be fundamental for any type of success in their adult lives. Kids develop an increased sense of responsibility. For most children, responsibility develops during his or her teen years. Kids enrolled in online schools become completely responsible for their work within a year or two. This means that you won’t have to explain to them why they have to do their homework. They know why it’s good for them and why they have to go to school. They will understand by themselves pretty quickly. Okay, But Are There Any Bad Points? 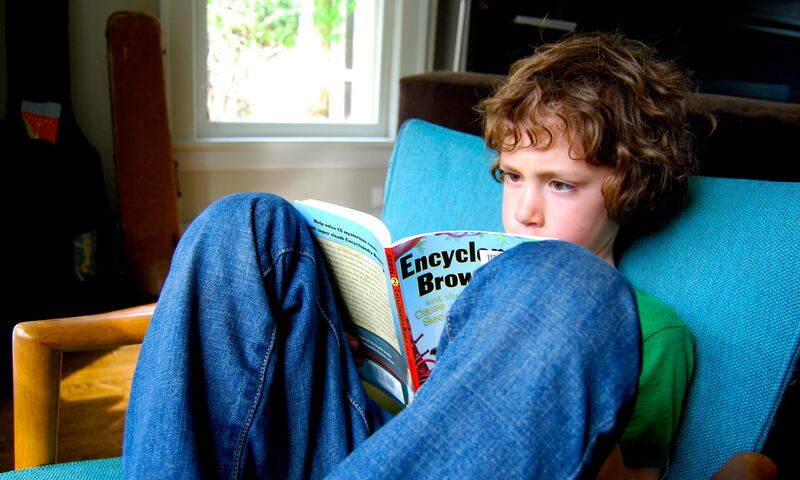 Not all kids are well suited for all online schools. As with all things in life, there are bound to be exceptions to the rule. 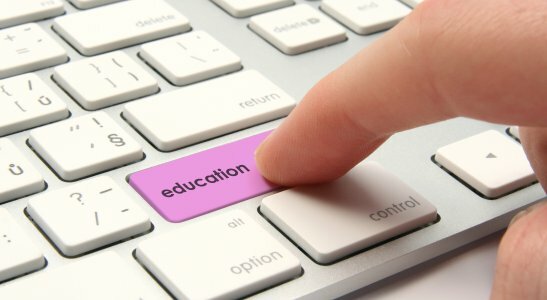 Online schools are not excluded. First and foremost, you must understand that your kid is completely unique, and may not do well going to school virtually. Talk to a psychologist, and see what he or she has to say. Ask them directly whether an online school would be okay for your child. Kids can become overly responsible. Sure, it’s okay for your child to be responsible, respectful, and well behaved. But it may be that childhood was specifically designed for being a bit unburdened. After all, you don’t want to put your kid to work a 9 to 5 jobs before he even knows what a job is, with complete responsibility over his actions. Some schools are only about profits. This is one of the biggest problems of online education. It has to do with attributing taxpayer money from the education budget. This funds private companies that are too often hell-bent on profits, and not on actual education. This can result in some shameful situations. One Arizona case implicates a cyber-school which – be ready – outsourced some of their staff. In the end, some papers from the students in the school ended up being graded by a low-paid student intern. This is, indeed, shameful, but must not speak for the whole of the online schooling business. The same schools above can get involved in money laundering. It’s no secret that shady kingpins are finding ever more creative way of laundering their money. But we must say no to their involvement with the education of our children. This seems to be the case with private schools in general. So as a general note, always be wary of where you enroll your child. The school is one of the leading institutions in online schooling. It has a very open-minded policy, and its design, look, and system are extremely professional. The only drawback one might have is its status of a private school, which implies that it has a tuition fee. Yet, this also implies for a more solid curriculum and other impressive benefits. These are complete coaching, individualized learning plans, and career planning for older students. As a bonus, the K-12 online school offers siblings a 10 percent cumulative discount from the tuition fee. The Primavera Online School is also one of the leading schools in the online medium. It’s comprised of two separate directions: the Primavera Online Middle School, and the Primavera Online High School. In contrast to the previous one, this school is completely tuition-free. This is a big bonus, however the free online school has the disadvantage of not having a primary school program. This kid has got it all figured out. If you’re feeling that the school you have chosen is adequate for your child, see if your kid likes the idea. They might relish the idea of going to school without actually going to school. The online alternative might be the best choice. Especially if you want more time with your kids and more control over what they learns at school. If your concerned about your kids being permanently traumatized by bullies in school, this could be a great option. There are a lot of tuition-free online schools that definitely are better alternatives to private schools. If your kids are as excited as most by working with technology, then they will surely jump at the idea of working on a Mac or PC for an online school. Thank you for reading this short piece on online schools, and online schooling. If you’d like to check out other articles relating to higher online education, we have that as well. So, be sure to take a look.